My kids have been a bit indifferent towards scratch art cards when I’ve bought them in the past, but there’s something about making your own that they find much more exciting. 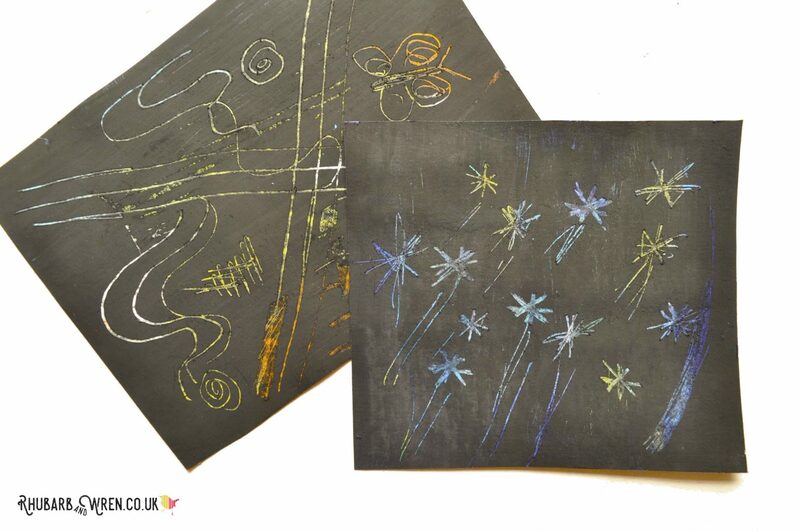 Our home-made scratch art cards are silky smooth to draw on! We’ve tried out several different methods of making scratch art cards, and came up with our own version after much trial and error. 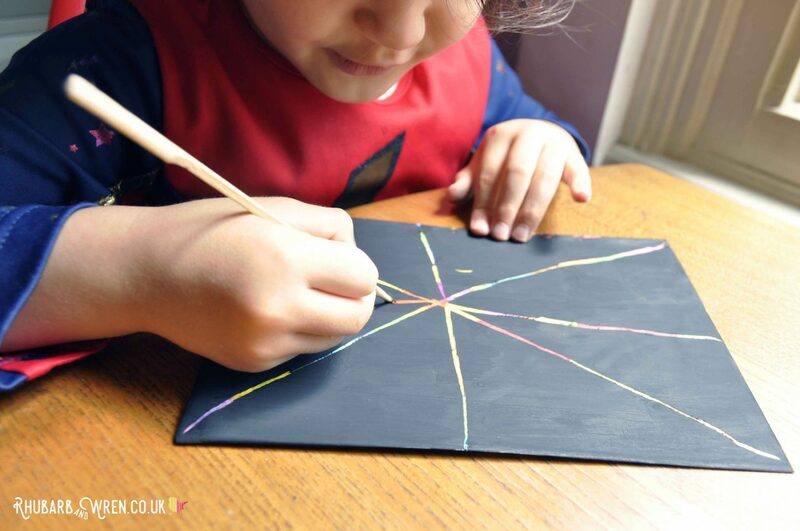 We like this way of making scratch art cards because the surface scratches beautifully. ‘Scratcher’ tools just glide through the top layer without chipping, and make beautifully clear marks. This means you can also get lots of detail in your drawings. Scratching through the black layer to reveal rainbow colours – magic! Want to make some for your kids? Here’s how! Below, you’ll find Amazon links to the products I used in this scratch art project. These are all affiliate links – you can find out more on my ‘about affiliate links’ page. 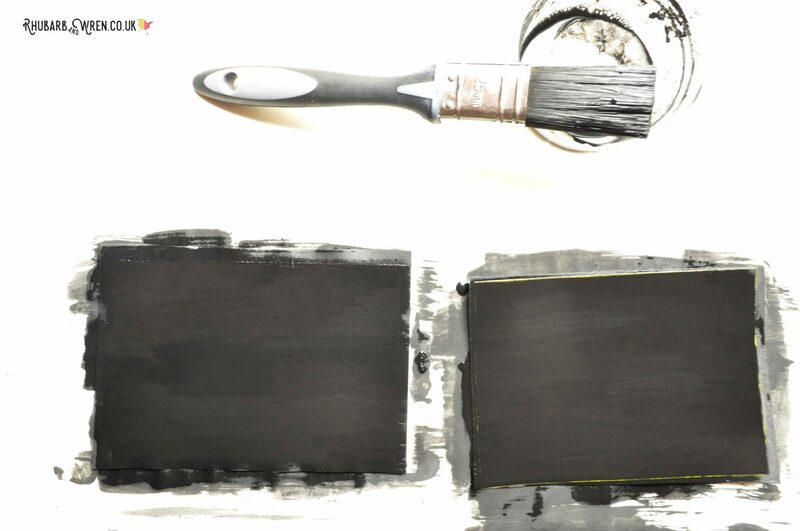 Paint – black makes for a great contrast with the colours beneath, but any colour will work. I used the kids’ ready mixed paint (poster or tempera paint). washing up liquid (dish soap) – mine was Fairy Platinum, but any brand should do the trick. card – it doesn’t really matter what colour, though white card is obviously best if you’re going to draw patterns on it for the scratch art background. 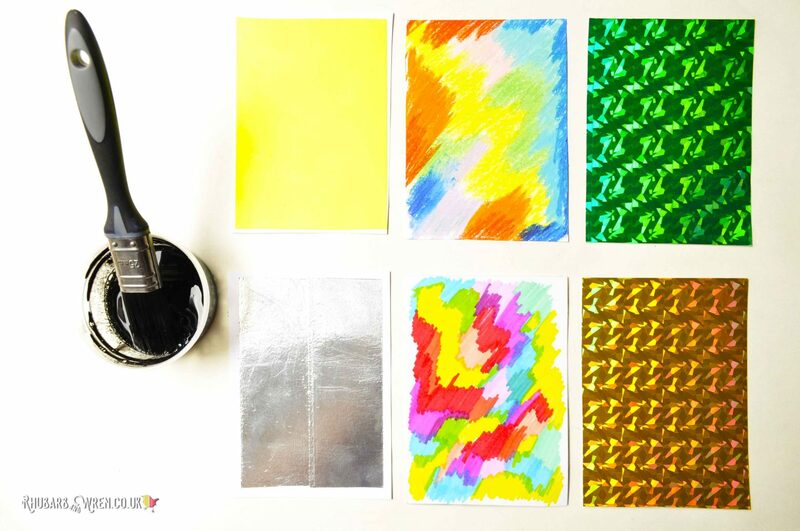 Pens, oil pastels, tape and sticky back plastic – with these supplies you can make amazing custom scratch art cards. 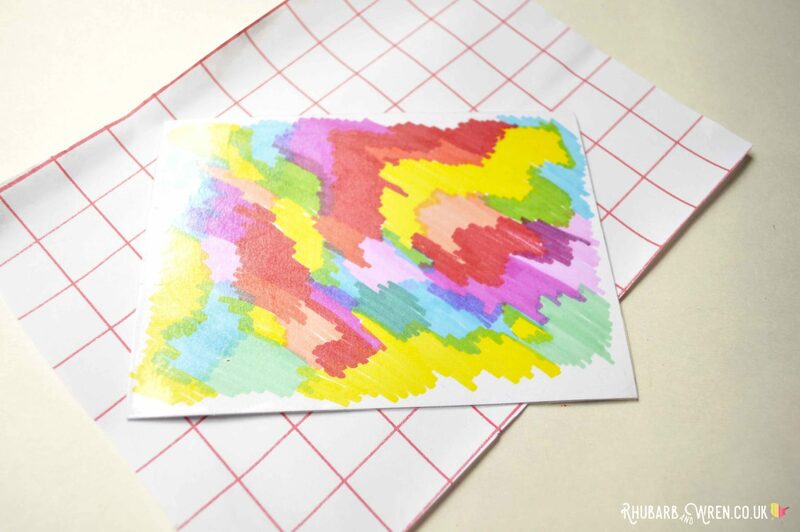 Many people do this craft by completely covering white card with either wax crayons or oil pastels, and then just painting directly over them. We tried this too, and while it does work, we found we got much better results painting over materials that have a really shiny or glossy finish. From left to right: oil pastels,; felt-tip pens under sticky back plastic; aluminium foil; fluorescent yellow safety tape; holographic card. 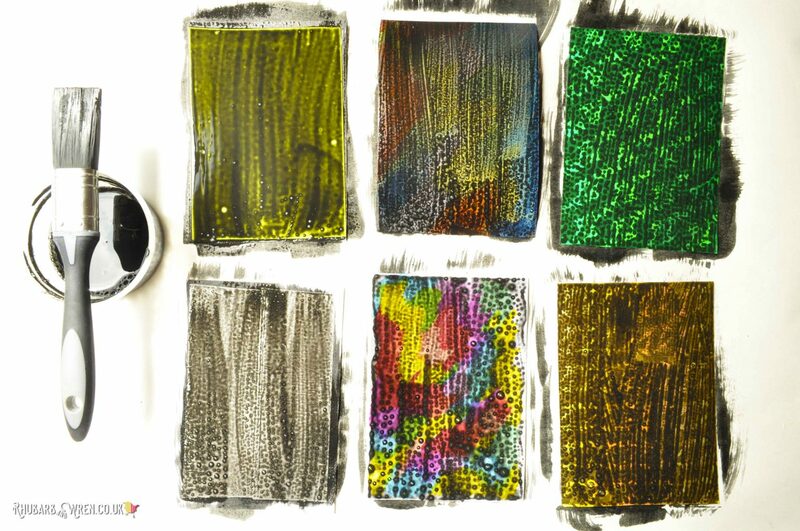 Any of the materials listed in the “scratch-art-materials” section below will work to create your base layer of colour. We tried them all! Sticky back plastic over their own drawings was by far their favourite. 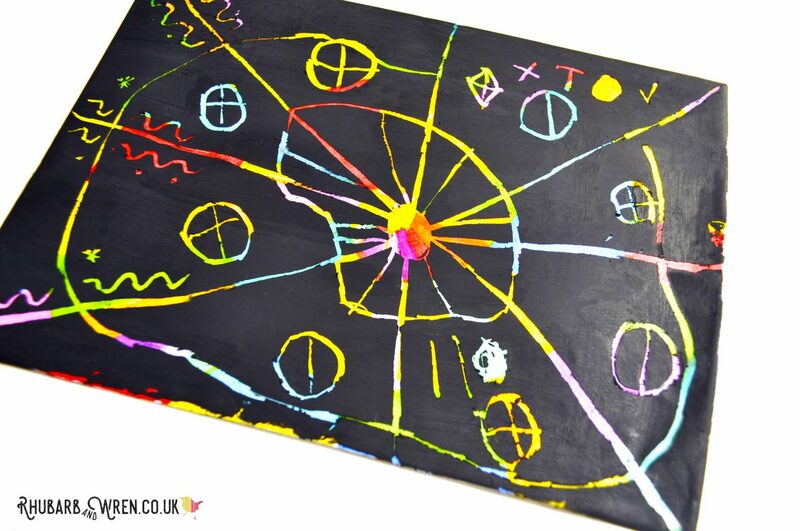 With this, they could create beautiful, colourful patterns, images or text using any medium they liked. Total artistic freedom! Don’t be limited by our list though, as anything smooth and glossy to the touch should work fine. Experimenting is all part of the fun. 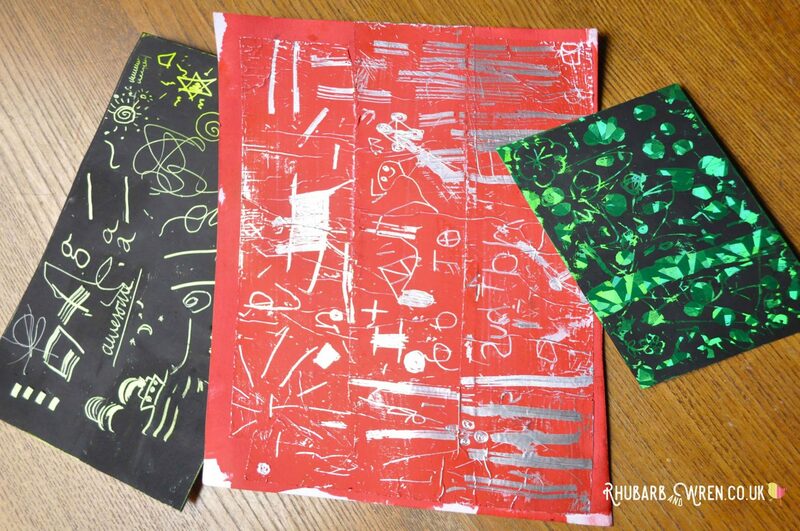 Paint mixed with washing-up liquid (dish soap) is the secret to making awesome custom scratch art cards. 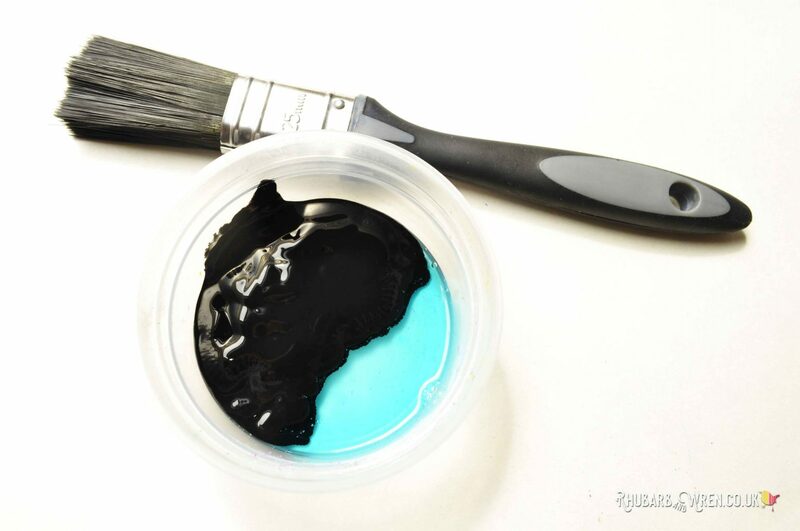 Mix a little bit of washing-up liquid (dish soap) into your paint. Your mix should be roughly two thirds paint and one thirds washing-up liquid. Two thirds paint, one thirds soap worked for us, but add a little more soap if your paint layer dries flaky. We experimented a little with this to see if the soap was really necessary, so trust me when I say it is! Without the soap, the paint will just flake off your surface as it dries. If you find the paint chips and flakes off in chunks when you try to scratch out a design later on, then you haven’t used enough soap. Get this ratio right, and your scratch tool will glide through the paint coating, leaving clean and clear marks. What not to do! Not enough soap in the paint mix meant that scratching the finished surface flakes the paint off in chunks. 3. Paint, paint, and paint! Our scratch art cards, all ready for painting! 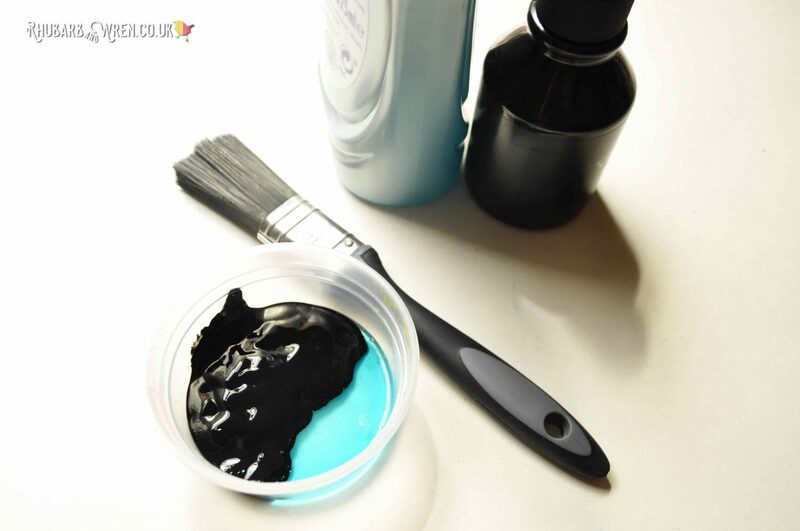 Using a soft paintbrush or mini roller, paint over your base colour with a thin coat of the paint and soap mixture. It won’t sit very well – you’ll get bubbles all over it and it will dry really patchily. But that’s okay, because the next coat will go on much better. Leave it to dry (ours took an hour or two), and then repeat with another coat of paint and soap. You’ll probably need three coats in total to get a smooth, opaque finish that completely conceals the base colour. All done! A few coats of paint and you’ll have a smooth surface ready to scratch. Scratch art cards made with (from left to right): fluorescent safety tape, aluminium foil tape, and holographic art card. Once the paint has all dried and you’re happy with the finish, the cards are ready for scratching! I happened to have a few mini paddle skewers in the back of a kitchen drawer, and they made perfect scratch art tools. The pointy end was great for detail, while the wide end created interesting patterns and thicker lines. Get the kids to experiment with different things – pencils, forks, toothpicks, cocktail umbrellas, stiff paintbrushes, coins…. 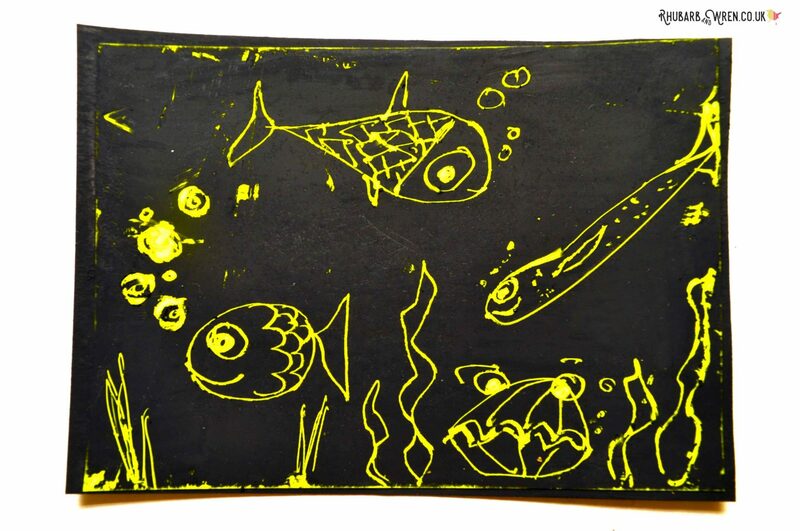 Because it’s so easy to make smooth marks on these scratch art cards, there are no end of tools they can use. Compared to the wax crayon/oil pastel technique, these glossy materials make scratching designs much, much smoother (and oh-so satisfying!). You can get far greater detail in your drawings while clearly revealing the colours of those base materials. Here’s a selection of our favourite materials to use – but basically, anything glossy should work. This is very shiny, silver-coloured adhesive tape that has to be one of my all-time favourite craft materials. Strictly speaking, it’s intended for plumbing and insulation work, but I’ve used it to make Viking swords, medieval crowns, enchanted mirrors and a whole host of other things. 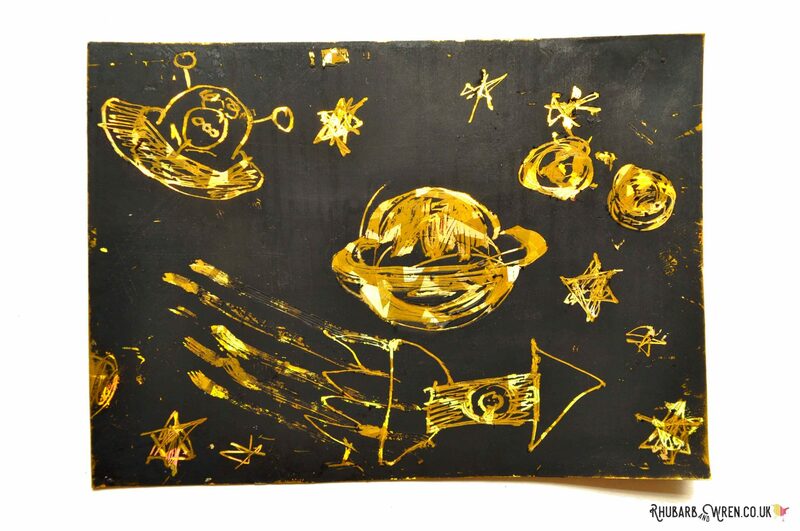 Being metallic and shiny, it works perfectly for scratch art as it looks great when revealed through black paint. You can also use adhesive copper tape (another plumber’s material, and commonly used as a slug deterrent in the garden), but this is usually more expensive – especially for wider rolls. 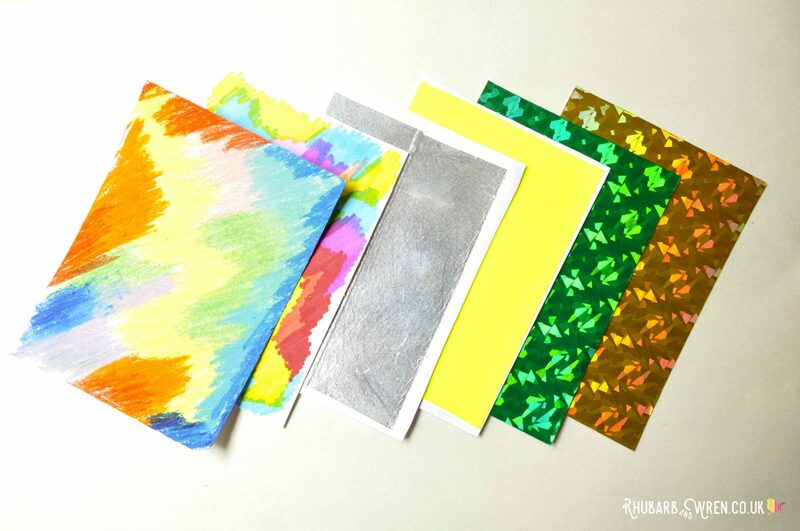 All sorts of self adhesive tapes work wonderfully for making scratch art cards – these ones are aluminium and fluorescent vinyl. 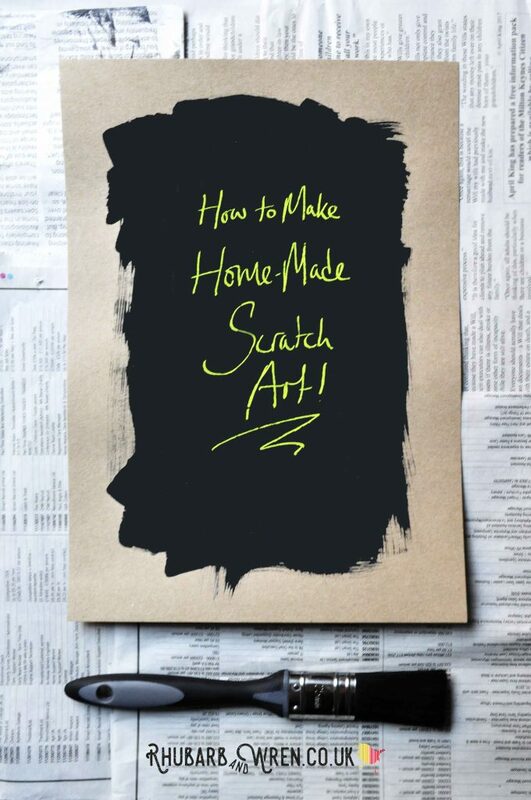 There are all sorts of vinyl tapes around – the fluorescent-yellow tape we used for our scratch art came from my craft-heaven, our local Scrapstore, so didn’t have any details on brand or purpose. But I think it’s essentially reflective or safety tape – and certainly those would work really well. 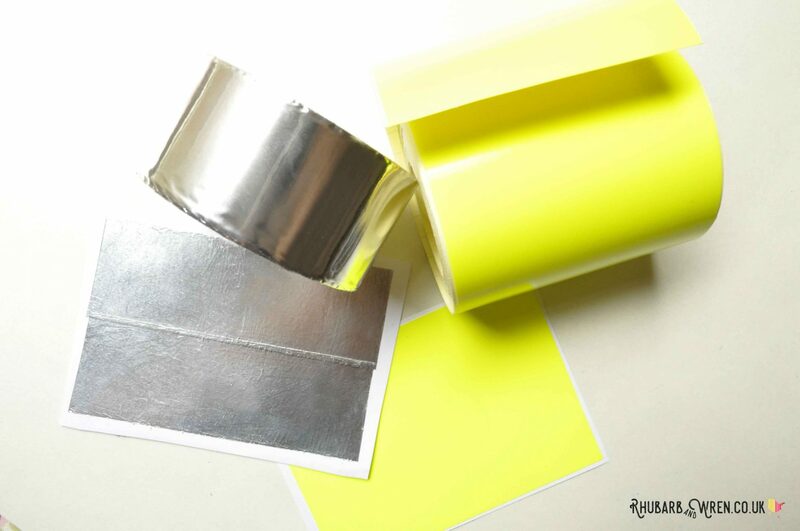 Vinyl tape comes in all sorts of colours, often fluorescent or metallic. 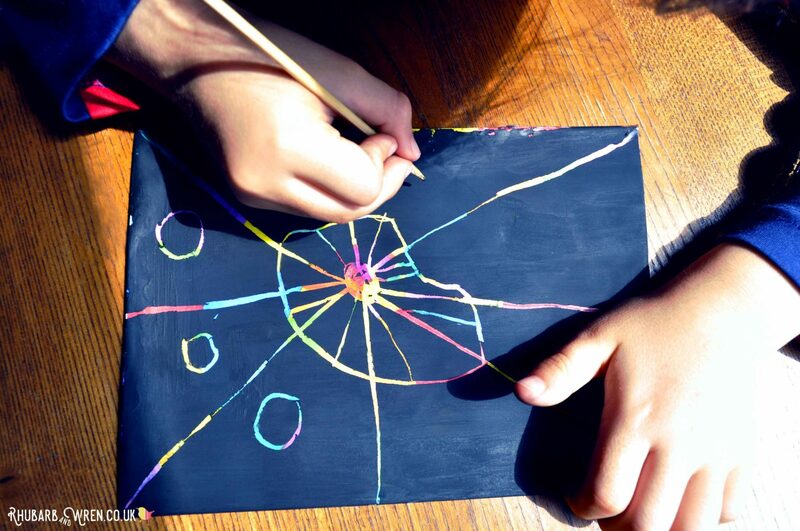 Using vinyl tape for our home-made scratch art cards made for a super-smooth surface to draw on. Green holographic art card makes for a fun base for scratch art. This arts and crafts card you can get everywhere – they even sell it in our local corner shop. Ours came in a pack of different colours, and has a holographic pattern that looks amazing when revealed through the paint by our scratch art. Gold holographic card makes a super-sparkly background for this space-race picture. AKA self-adhesive plastic film. This is the stuff we used to cover our school books in to protect them, but it works perfectly to add a glossy layer on your own drawings for scratch art cards too. 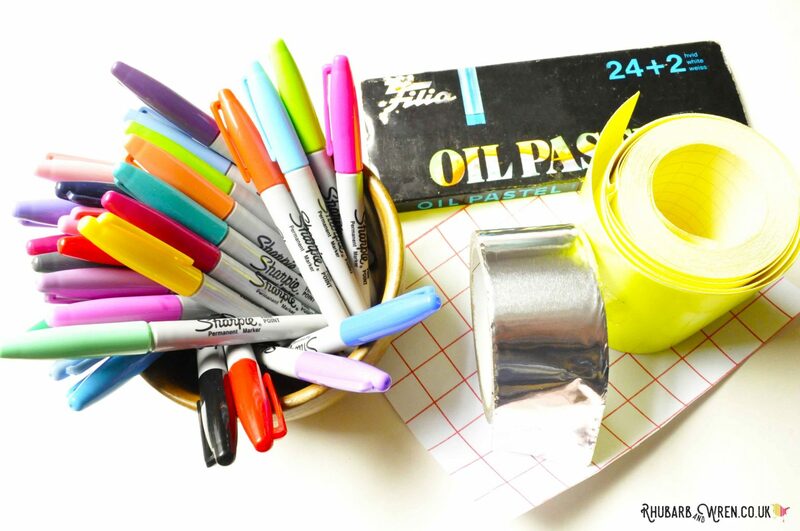 With this stuff, you can create your own base designs or patterns on ordinary card and with ordinary pens, paints, or pencils. If you’re just doing a small area (creating your own scratch & reveal cards, for example), you could use clear packing tape instead. 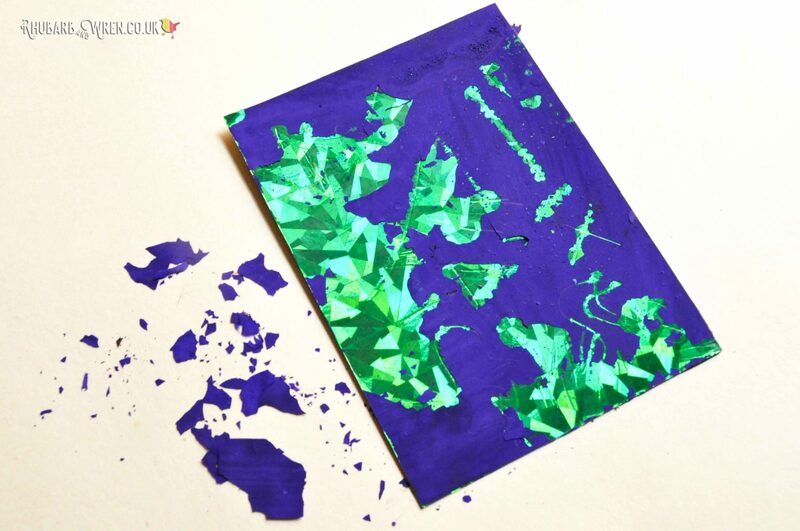 Sticky back plastic creates a smooth coating over your art, perfect for making scratch art cards. 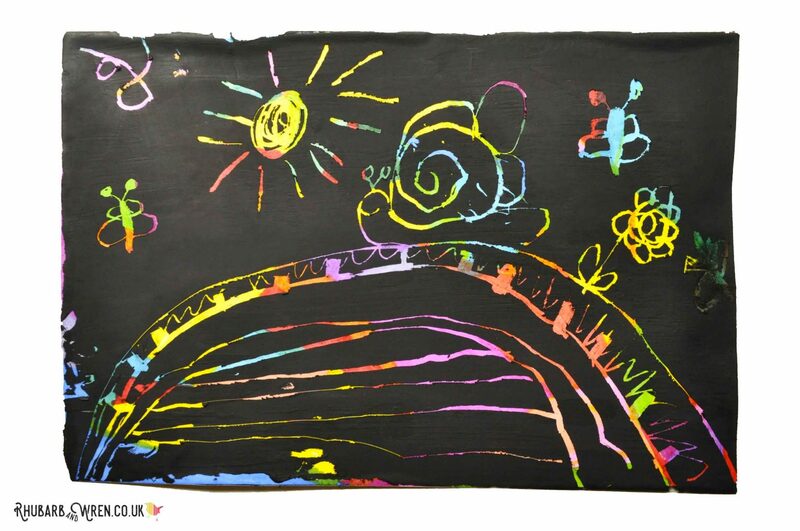 Wax crayons and oil pastels will both repel water-based paints, so work well for scratch art projects. However, you don’t get quite the same smooth scratchable-ness as with the coated materials. We also found that the colours can be muddied by the scratch art process so you sometimes don’t get quite as bright or clear a colour showing through. Using oil pastels or wax crayons makes for a more subtle result, but it still looks pretty! 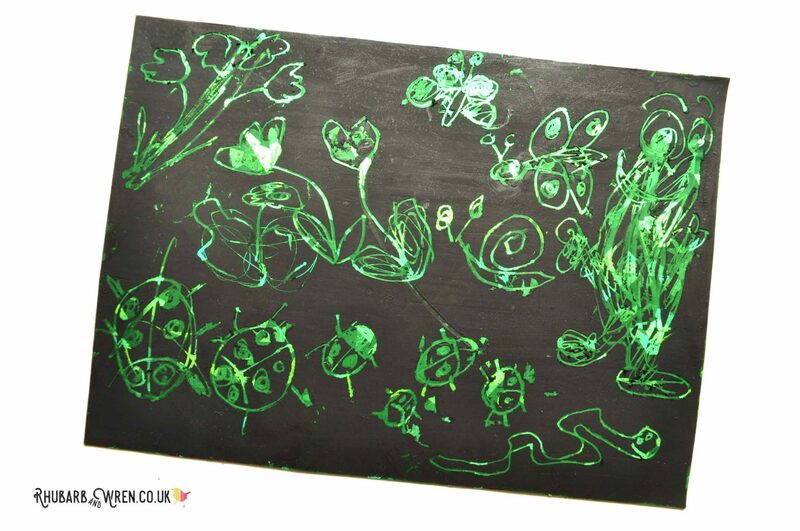 While ready-made scratch art card is relatively cheap to buy, the great thing about making your own is that you can personalise it exactly the way you want. Make the base layer any colour, pattern, drawing or text that you want, and change up the colour of the scratch art card surface as well. For example, my youngest is a big fan of red, so used that instead of black. It’s so easy to make these that my kids have been painting up whole bundles of cards over the holidays. 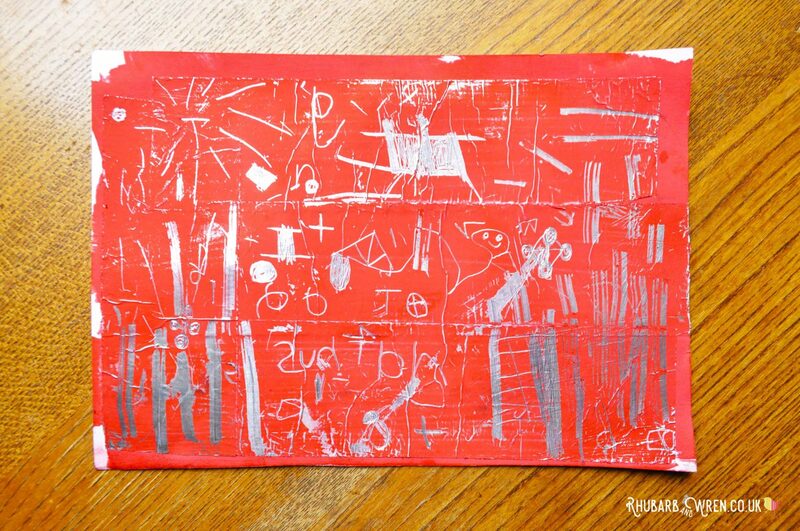 They’ve used them to make secret messages, treasure maps, and beautiful art. 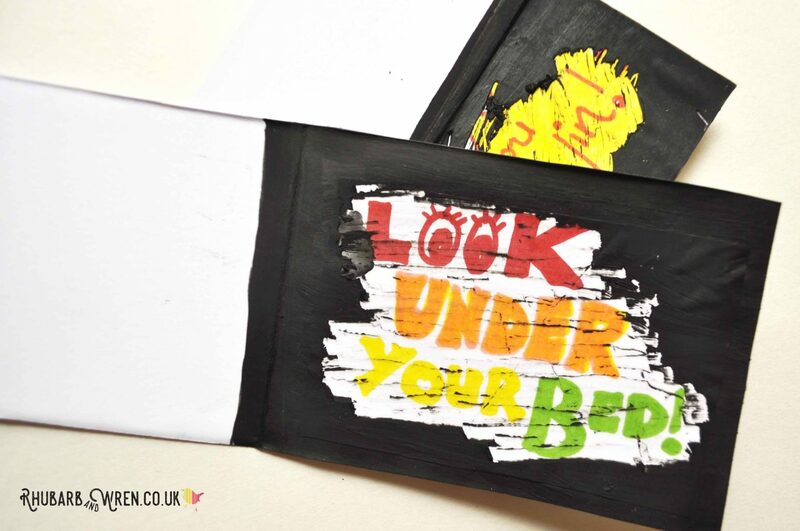 Don’t just use custom scratch art boards for pictures – my kids love hiding secret messages and treasure hunt clues in them too! Rainbow colours are definitely this one’s favourite! 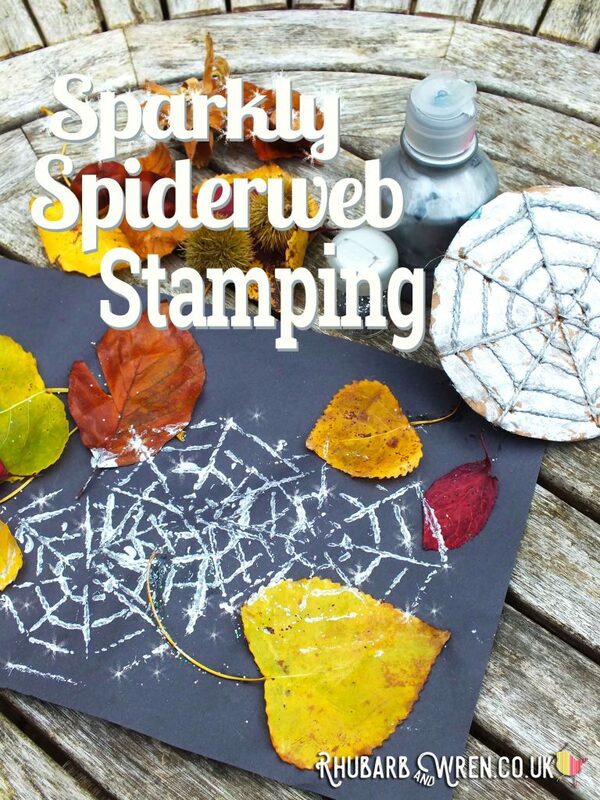 I’d love to see what you and your kids make, so if you give this craft a go then do let me know! 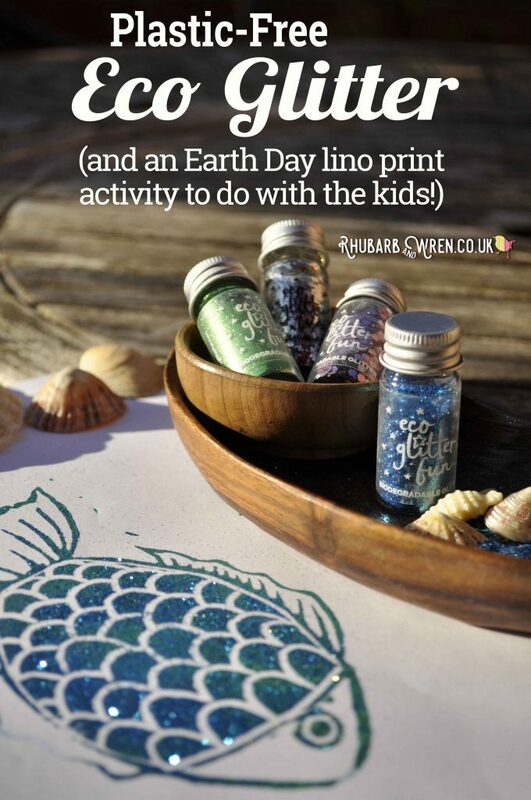 This plant-based glitter is biodegradable and non-toxic – and perfect for an Earth Day kiddie craft! 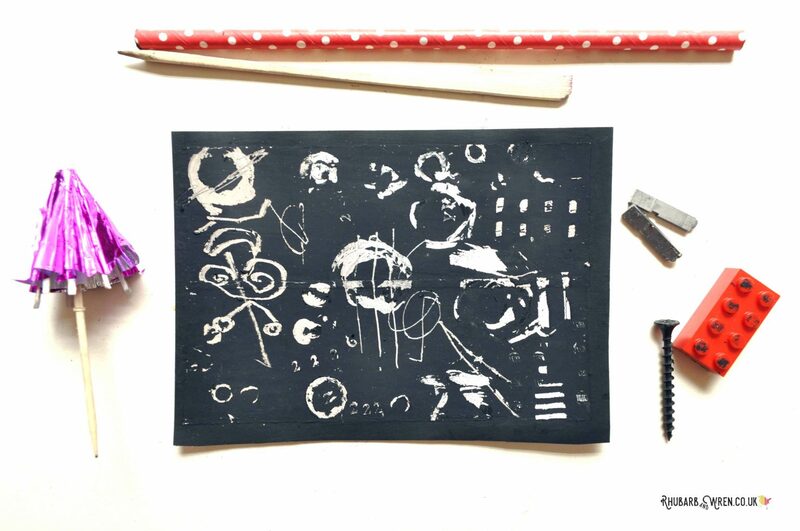 Did you know it’s really easy to make your own scratch art cards? And making your own means you can customise the hidden layer any way you like – with your own drawings, hidden messages or even super sparkly holographic colour! Craft, Kids' Art, Preschool Activities. Bookmark. Wow! This is so detailed. I definitely want to give this a try but may wait until Fireworks season so j is a little older. Thanks for sharing. I will pin it. Wow what a clever idea – I love it! You could make secret notes or cards for people, so cool! Oh my gosh I used to do these all the time when I was little, I’d totally forgotten about it! Definitely going to do this as an art project with the kids soon. How have I never even heard of these? Can you tell I’m not a ‘crafty’ mum? They look brilliant. Might even have to give them a try when I’m feeling brave! I used to love these as a child! This is a great idea for keeping kids entertained and something I’ve never seen before. I’ve been after things to keep my son busy this summer so I’ve pinned this to try with him!